We are Salinan Trowtraahl. What we share here reflects solely and exclusively the heart of our Salinan village alone and not that of other Salinan tribal organizations. Recently, we were invited to attend a mass in our homeland at Mission San Antonio which was built by our ancestors. The purpose of the mass is to celebrate the canonization of Junipero Serra. We responded to church authorities mainly with the following comments. We see that the heart of individual Catholics is sincere in wishing for healing. However, healing requires acknowledgment of injury, admission of responsibility and a sincere effort at reconciliation through amends. This process is familiar to our native spiritual ethics. It is part of the Catholic Church’s Sacrament of Reconciliation. The Church in our area has yet to initiate true reconciliation. We do not use the word “genocide” lightly. However, our experience in the mission system fostered by Serra does meet the criteria for genocide as defined in United Nations Resolution 260 and adopted in 1948. In effect, Serra was celebrating that a “harvest of the souls of children for God” had occurred at Mission San Antonio. Canonizing a man who rejoiced over the death of children before they even had a chance to live a full life is akin to ripping open the wound and pouring in salt. It is deeply painful for us to realize the Catholic Church would even consider celebrating the canonization of such a man. We had hoped that the Catholic Church would not consider the death of innocent children to be part of their “mission to fulfill God’s command.” The cruelly insensitive canonization of Serra however feels typical of an institution that directly caused hundreds of thousands of deaths through 500 years of “Crusades” not to mention 200 years of Inquisitions. There are those who say that the lives of native peoples in California were overall improved by the missions. From a strictly material perspective, life today does have advantages not previously available. However, what little we gained in the material sense pales in contrast to the psychological pain suffered by our families and the spiritual fragmentation of our community, culture and identity caused by genocide. Bishop Quinn further acknowledged that “the church authorities took the Indian out of the Indian, destroying traditional spiritual practices and imposing a European Catholicism upon the natives.” Those words were a beginning and a good first step in the right direction. This most recent aggravation of our soul wounding by Pope Francis in canonizing Serra strengthens our resolve to continue putting the Indian back in the Indian. José Freeman, 69, is a member of the Salinan Trowtraahl Elders’ Council who works as a marriage family therapist. His father was born in 1900 and raised by his Salinan grandmother, Gertrudis Villavicencio-Soto, who was born in 1835. Gertrudis experienced the re-emergence of the Salinan culture at her uncle’s place, the Villa Ranch near Cayucos, after the missions were secularized in 1834. 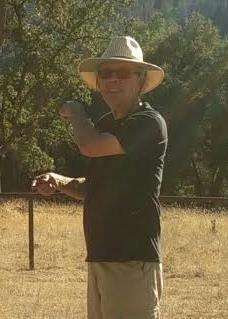 Jose Freeman re-connected with the Salinan community in 1995 after being asked to research the history and culture for purposes of federal recognition. He continues to study and to be a part of healing from genocide through reawakening of the ancient culture’s traditions and language. Simply survival of the fittest, look at the Middle East defend yourselves or accept the results. The Catholic Church is the largest group of child rapists in history. True evil. I suppose the Americas would have been better off if Columbus and the Spanish never showed up and practices like human sacrifice continued. The Spanish brought genocide, the ultimate human sacrifice, to the Americas. Let’s keep things in perspective, Bill. The healing comes from realizing the truth. Most of the American Indians died from disease due to lack of immunity. The disease exchange went both ways. Syphillis to Europe, Smallpox to the Americas. I have hundreds of questions for the Catholic Church to which non every get answered. That is why I don’t attend. This is all true, and an excellent start; however, I would be hard-pressed to find anyone (Roman Catholic or otherwise) who actually feels as though they are responsible. Amends for acts done multiple generations ago are not so easy to get. For instance, Christians do not go around to Italians (or other Roman descendants) asking for healing and amends for their ancestors being used as Lion food or being butchered for entertainment. Many blacks in the U.S. thought “reparations” was a great idea, until common sense prevailed and society seemed to realize that you cannot force a majority of people to pay for sins of ancient relatives (and most non-black citizens were not related to slave owners, in this example). It would have been nice for the Roman Catholic Church to acknowledge this, but good luck getting any large entity (religious, political or otherwise) to acknowledge anything that might be negative. I suspect that many of the missions decade as a result of shame. Years passed and the necessary distance from reality allowed for the repairs and a new understanding of what happened. Roman Catholicism might have been the single, worst thing to happen to Christianity in the last 1,000+ years (since 1054 at least). Thank you , Elder Freeman , for these comments. It is important, whether people “like” it or not, to be made aware of the fact that not everyone has been taught the same history. When I was in school, it was never mentioned that colonizers seriously abused indigenous people or the lengths to which this was taken. Indigenous children were told NOTHING of their heritage and Europeans were made out to be saviors, So, the truth is a large and unpleasant pill for some to swallow. Being of mixed decent, perhaps makes it easier for me to absorb, although it leaves me with the dycotemy of abuser and victim in the same blood. The best case scenario for all here is to make peace, which was an internal process for myself. This would not include, however, cannonization of the figurehead of the colonial movement and major instrument in the suffering of indigenous people. Though not Catholic, I am a great fan of much of the work of Pope Francis. However, I feel that what happened in this case was highly insensitive and turned what could have been a significant moment of instruction and reparation into a further offense. It seems that the “Christian” thing to do would be to learn the truth and at the very least understand just what indigenous people all over the world have experienced and continue to deal with in many parts of the world. Before we destroy the people and the planet trying to “civilize” it. When did you learn all the new politically correct terms and theories to refer to people you obviously know nothing about–our friends and neighbors on the Central Coast– the Salinan Tribal members? At least you reached the right conclusion, that the Catholic Church should never have made Junipero Serra a saint. Well, perhaps I have this knowledge because I am part Iriquois, “citizen”, and also was instructed by a Salinan Elder. Apparently you are unaware that what I said is not “new”. Given that arguably a specific genocide was conducted here is California, the practice was nationally conducted against all Indian tribes during the conquest of this nation by settlers during the early 17th Century — starting in 1605 in the area I come from in Maine. The concept of Manifest Destiny is employed to rationalize this movement by settlers. For me, the term genocide in describing this by the respected author, does not mean that there was a systematic killings of Indians as happened in the Holocaust against the Jews in WWII. But there cannot be any honest explanation on the systematic defeat of Indian lands, tribes and cultures here in the USA. It did happen! But I do not believe that was the specific goal of Catholics in converting Indians to the Catholic faith. The tribe in my area in Maine were the Wawenocks. Murders by both Indians and settlers was common during the establishment of colonies in New England. My ancestors fought them, and there are records of their murders of colonists. My ancestor, Lawrence Parson of Cushing, Maine fought them in the French and Indian Wars, besides confronting the British in the Revolution and the war of 1812. I thank José Freeman for his excellent article and respect his sincerely held belief on this matter. 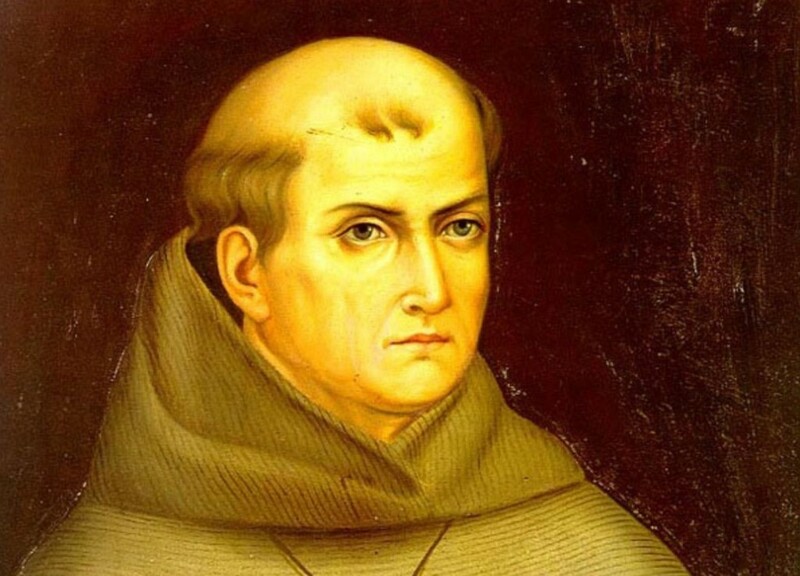 But to suggest that Junipero Serra participated in a genocide is to conclude he was evil. Serra was not evil — and his mission history is honored. Thank you for a thought-provoking article. It is well known that the Indians were effectively enslaved to build the missions. How sad. Nonetheless, it still hurts that someone who abused your people is elevated in the eyes of men for his “accomplishments.” You are correct: it is time for reconciliation. We overcome evil with good. Someone must take the first step. It is obviously not going to be the Catholic establishment. I hope you will find it in your hearts to forgive them even as Jesus forgave those who nailed Him to the cross: “Father forgive them, they know not what they do.” It seems wrong, incorrect, that a victim would have to forgive first, but if the other side is not going to take that first step…Jesus said, “Blessed are the peacemakers, for they shall be called sons of God.” You are more mature in the Lord than those who enslaved your ancestors if you can ask God, in faith, to help you to do this. I hope Christians reading this post will pray for you. This is long overdue!